Winzip has been a household name in file compression for two decades. WinZip 17 takes file compression and management to the cloud with Google Drive, SkyDrive, and Dropbox integration—and now a new update is available that adds Box to the mix. WinZip was a pioneer of the freemium software business model—basically providing the software for free, and relying on the moral compass of customers to pay for the product if it proved to be useful to them. I used to download a wide variety of shareware applications following a similar strategy, but WinZip was the first one I ever felt compelled to actually pay for. 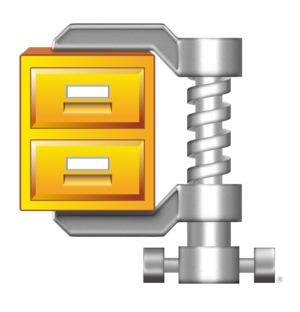 WinZip is a leader in file compression and file management. Over the years, hard drive and flash drives have grown exponentially in size, and the cost of storage has gone down, so the need for a file compression utility has declined. However, the rise of photos and videos—which can be massive files—and the desire to upload information to social networks or cloud storage services has brought it back in vogue. It’s much easier and faster to upload a 100Mb file instead of a 1GB file. WinZip has evolved to be a much more comprehensive file management tool than it once was. It still provides file compression, but now it also includes the ability to convert documents to PDF, add custom watermarks to PDF files, and post files directly to popular social networks. Another advantage of WinZip 17 is that it ties disparate services together. Rather than dealing with your PC, Google Drive, Dropbox, SkyDrive, and Box as separate entities, WinZip 17 gives you a single tool from which to manage all of your data no matter where it’s stored. There are two flavors of WinZip 17, Standard and Pro. The Pro version includes features that strengthen and speed up file encryption, as well as the ability to view photos within a ZIP file without extracting them first, and features that make it easier to transfer and manage photos from supported cameras and mobile devices, among other things. New WinZip 17 integrates with cloud storage services like Box. You can get WinZip 17 directly from the WinZip site starting at $30. WinZip 17 Pro is $50. WinZip offers volume licensing discounts for businesses that purchase the software in bulk. WinZip 17 is only available for Windows (XP or later), but there are versions available for Mac OS X, iOS, and Android as well. Customers who already have WinZip 17 can download an update to add integration with Box cloud storage. WinZip 17 lets you archive, encrypt, convert, and share your files across multiple services. New integration with cloud storage services and social networks gives this program a firm foothold in the online world.